Your maintenance program gives your crew a list of work they should perform on your assets. It also provides a record of all the maintenance work and repairs performed on the components on your assets. This lesson will show you how to build a layout of the components on your assets and how to set up the components each asset is currently using. On the Assets tab in Assets, on the Management menu, you will create layouts that list the components for each of your assets. You can arrange the items in an order that makes sense to your organization. Which components should you include? 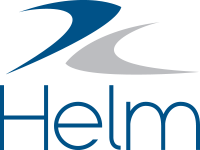 In Helm CONNECT, components are the pieces of equipment you want to keep maintenance records for and parts are consumables. We don't usually recommend you include parts in your component layout. However, if you have any questions or need some advice about this, your Account Manager would be happy to help you decide on the best strategy for your organization. When you add an item to a layout, you must indicate which type of component it is by selecting from the list of component types to the right of the description field. If you add any custom fields for your components, they will be linked to the correct components by component type. In Helm CONNECT Inventory, you can only replace active components with deactivated components that have the same component type. On the History tabs in Helm CONNECT Maintenance, you can filter by component type. You can include component types in your reports. We provide a list of default component types, but you can delete them, modify them, or add new ones on the Component Types tab in Parts, on the Setup menu. Before you begin building any of your layouts, we recommend you review the default list of components and make any necessary changes. Note Although you can change component types when absolutely necessary, please be aware that if another user is changing the same component at the same time, or if a user with an asset installation changes the component and then syncs the data, your changes could be overwritten. Flag any item in a component layout as a critical system by clicking the Critical System icon to the right of the item. The responsible parties for an asset receive email notifications when high priority tasks related to a critical system are added, updated, or finished. Think of the items in a component layout as placeholders. They represent the components on each of your assets, but they aren't the actual components. Inside each item is the actual piece of equipment that's currently being used on the asset. We call these the 'active components'. When you add a component item to a layout, the system immediately populates it with an active component. However, this active component is blank and doesn't contain any information, other than a default activation date and time. You can see component information at any time by clicking the Component Information icon to the right of an item. We recommend you add details about each active component, such as its make, model, part number, and serial number. If you like, you can also modify the default activation date and time. The serial number is particularly important because it uniquely identifies the component throughout the system, and can be used to search for any records related to that specific component. Enter information about your active components by clicking the Component Information icon to the right of each item in your layout, then completing the fields. From the Management menu, select Assets. Click one of the asset cards. Click the Components sub tab. Click the field to the right of the description and select a component type from the list. Note We provide you with a list of default component types to use when adding components to your assets. You can modify this list on the Component Types tab in Parts, on the Setup menu. To enter information about the current active component, click the Component Information icon. (Optional) To flag a component as a critical system, click the Critical System icon to the right of the item. Repeat steps 4 to 7 for each component you want to add to your layout. To save your changes, click Save Components.